Was your baby born with a birth defect after you used prescription medication during pregnancy? Call Doyle Law at (205) 533-9500. From our offices in Atlanta, Georgia, and Birmingham, Alabama, we're representing families nationwide dealing with birth defects. Although not exhaustive, the list below indicates the most common birth defects linked with the medications listed above. SSRIs are a widely prescribed class of drugs most often used as antidepressants to treat depression and anxiety disorders. Since September 2005, scientific information has been emerging that certain SSRIs, such as Celexa (citalopram), Lexapro (escitalopram), Prozac (fluoxetine), and Zoloft (sertraline), and SNRI antidepressants, such as Effexor (venlafaxine) may cause birth defects. The FDA issued a Public Health Advisory on December 8, 2005 based on U.S. and Swedish studies showing that exposure to certain antidepressants in the first trimester of pregnancy may be associated with an increased risk of heart birth defects. Most of the cardiac defects observed in these studies were atrial or ventricular septal defects, conditions in which the wall between the right and left sides of the heart is not completely developed. However, exposure to antidepressants may also cause other types of heart defects, including pulmonary stenosis and atresia, tricuspid atresia, aortic stenosis, hypoplastic left heart and conotruncal defects, such as transposition of the great arteries, double outlet right ventricle and Tetralogy of Fallot. PPHN is a very serious birth defect, and even with treatment a child suffering from PPHN may experience shock, heart failure, brain hemorrhage, seizures, kidney failure, organ damage and even death. Infants who survive PPHN may have long-term breathing difficulties, seizures, developmental disorders and hearing loss. Another study showed that mothers who took antidepressants during pregnancy gave birth to children who experienced withdrawal symptoms such as seizures, tremors, gastrointestinal problems and sleep disturbances. The FDA also issued an alert in July 2006 warning about the increased risk of Neonatal Persistent Pulmonary Hypertension (PPHN) to babies born to mothers taking SSRI antidepressants. A study published in the New England Journal of Medicine also linked SSRIs to PPHN in newborns. The study found that women who took SSRIs during their third trimester were six times more likely to deliver babies born with PPHN — or to have babies that would develop primary pulmonary hypertension — than women who did not take SSRIs during their third trimester. 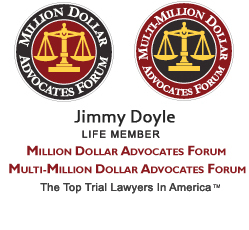 Doyle Law represents individuals and families that are seriously injured by defective products. 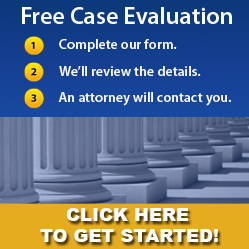 We handle pharmaceutical cases that have injured users in a variety of ways. In every pharmaceutical lawsuit to date, the drug company either knew or should have known that their product had a strong likelihood that it would cause injury to a significant percentage of the users. In many of the cases, there were studies published around the world linking their medications to birth defects; however, the pharmaceutical giants that manufacture and sell prescription drugs in the United States ignored the evidence in their pursuit of profits. We have been screening, filing, and prosecuting claims for birth defects against big pharma to compensate our clients and effect change. The defective drug birth defect lawyers at Doyle Law have a proven track record of success in helping our clients obtain compensation for injuries resulting from defective products like pharmaceutical drugs. Our experienced team of Birth Defect Injury Lawyers have been helping victims of defective products for years. We are dedicated to achieving real justice for our clients and we can assure you that, if we accept your case, we will work diligently to achieve the best result possible for you. Filing a defective drug birth defect lawsuit can help victims and their families affected by the defective product recover the financial compensation necessary to pay for expensive treatment and long term care. Do not wait another day and risk losing your claim.